Well there isn’t too much to report on out in the saltwater this time of year. There are a few winter chinook around and most of the fall migratory salmon, like coho, chinook, and chum, are well on their way up the rivers after all the recent rains. So today we are going to talk about reels and specifically reel maintenance. Each spring we get a lot of anglers who bring in their mooching reels to get fresh line for the upcoming season, only to find out there reel has sustained damage over the winter months. Usually there is some corrosion or seized bearings, they have to send their reel in for repair, and spend money on new parts. We can often fix the reel in the shop as we stock parts for Daiwa, Shimano, Trophy, Islander, and Abel mooching reels, but sometimes we have to send them away and you are looking at least a month before you get it back as well as charges for shipping, parts, and labour. So here are some tips on how to prepare your reels for the off season so they will be in perfect working order for the spring. The first things you should do is take off all your line. Line is relatively cheap, so you should put new line on each spring. The line can also hold water and if you leave your reel like that all winter you will often get some corrosion on the spool This may not affect the performance of the reel, but it doesn’t look great and will hurt the resale value. You are going to put fresh line on anyways come spring time, so peel off that old line now, there is no reason for it to sit on your reel all winter. If you have backing on your reel to build up the arbor (common practice on MR2 reels) and you want to leave that on, make sure your give it a good freshwater rinse. The backing holds a lot of water and we see a lot of corrosion on spools that have backing that has been exposed to saltwater and then the reel is stored that way all winter. The second thing to do is wash the entire reel in warm freshwater. This will dissolve any salt in or on the reel, and as mentioned above, will get rid of salt on your backing as well. Fill your sink with warm water and simply place the reel in the sink and let it sit for awhile so the salt dissolves. When you are done, take the reel out of the water, take the spool off, and place it on a towel to air dry. It is important you take the spool off so the reel can completely dry out. Once the reel is completely dry you can put some reel grease on the pawl for your clicker(s), some light oil on your cork drag and centre spindle, and some light oil on the bearings. We recommend the Superlube Kit and Tibor Reel Grease, both available at Pacific Angler. This is also a good time to check all your bearings to make sure they are smooth. If the bearing feels rough when it spins or makes a lot of noise, the seal has been broken and you have moisture inside the bearing and it needs to be replaced. This is usually fairly easy. You can pop it out, bring it to the shop, and purchase a replacement bearing. Sometimes if the reel has been left to sit for a long time and was not rinsed and cleaned, the bearing is seized into the reel and it won’t pop out. At this point it is better to bring the reel into us for repair. If you have taken the line off the reel, rinsed it in freshwater, allowed it to completely dry, checked your bearings, and applied the grease and oil, you are ready to store your reel for the winter. Make sure your drag is completely backed off as well. If you leave your drag cranked down you risk warping the drag washers on Daiwa and Shimano reels. There is no need to have the drag on, so back the drag knob way off before you put the reel away. You should do this after each fishing trip as well. Another key is to make sure it is completely dry before you store it for the winter. If it is you can put it in the pouch that it came with, although it is not necessary, and let it sit for the winter. 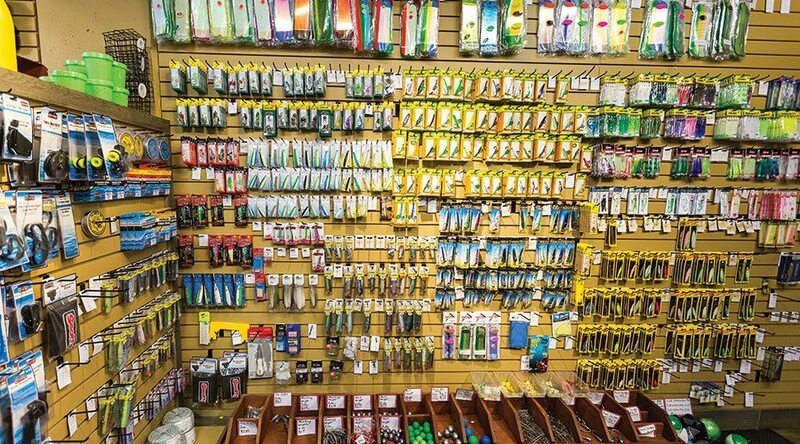 This way next spring, your reel will be ready to go, there will be no nasty surprises, and all you have to do is come to the shop, get spooled up with fresh line, and hit the water. The biggest mistake we see is anglers simply taking their reel at the end of the season and putting it in a neoprene pouch and forgetting about it for 6 months. This is when the most damage occurs. The neoprene pouch actually traps the moisture in the reel and it corrodes all winter. We have seen some extreme cases where an angler goes to a lodge in August, their reels are wet from fishing the morning of the last day, they put the reels in their pouches, jump on the plane, come home, life gets busy and the reels get forgotten about until next spring. By this point the spools have seized onto the centre spindle and the bearings are corroded. So don’t make that mistake. It doesn’t matter the brand name of the reel or how much you paid or if the reel has a lifetime warranty. If the above happens we have to send the reel in to be taken apart, it takes awhile, isn’t covered under warranty, and isn’t cheap. I hope those tips help. If you clean your reels this each winter you can get years and years of good use.